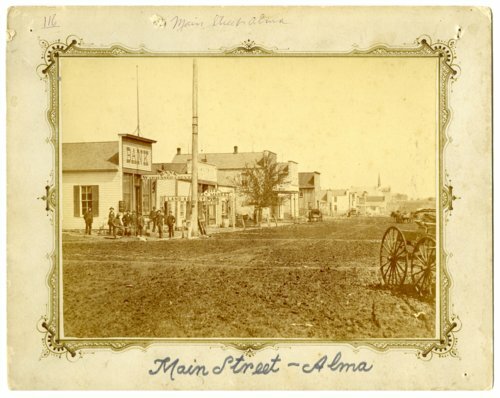 This early view of the west side of the 300 block of Missouri Street shows the downtown of Alma, Kansas. None of the buildings seen in this block on the west side are still standing. Notice that a used ship's mast had been installed as a very tall flag pole.